Money is such an important part of life, and your student needs to know how to manage it–especially when they’re heading out on their own. Here are 5 must-know budgeting tips for you to teach your college-bound teen. As an adult, you know that there are some things in life you can’t do without credit. You ALSO probably know what it means to have bad credit. But your soon-to-be graduate probably has very little, or no idea! Get your kid a credit card so they can start building up a credit score and teach them about the dangers/potential of COMPOUND INTEREST. We can all agree it’s better for your child to learn this from YOU than the bank! 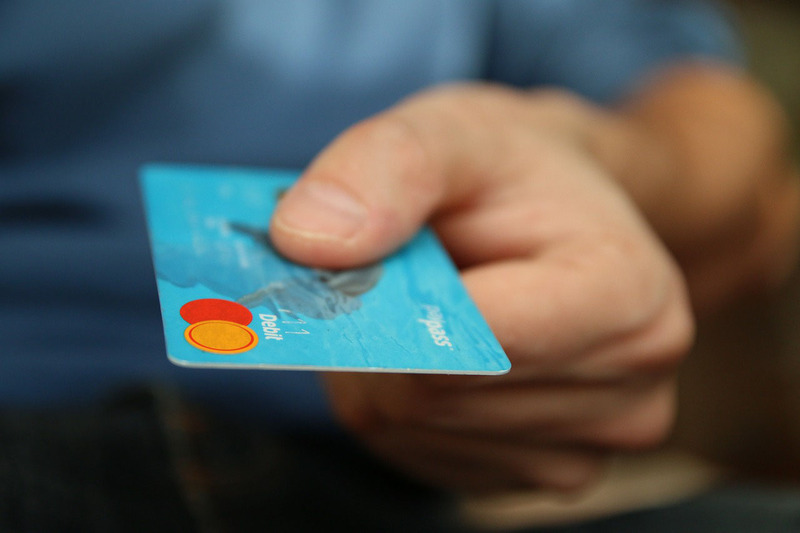 For detailed information on credit cards and how they work, check out this thrifty article: Click Me! A basic option is to create a spreadsheet where your student can categorize, log, budget expenses, incomes, etc. Spreadsheets are like calendars – they’re a great way to see all your expenses laid out and stay organized! Create a spreadsheet for your child and explain to them how it works. Once they get into the routine of entering the information in, they’ll start to have a better idea of what’s going in/coming out of their wallet, and be more financially aware. Welcome to the 21st century! Help is just a click away with websites like Simple Bank or Mint.com! 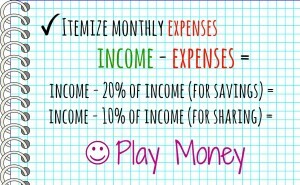 Tip 3) How much play money do you have? Does your child have “money to throw”, or do they need to save? They may not know the difference. Here’s a quick step-by-step you can give them to rule it out! Tip 4) Say NO to impulse buying. Then prioritize it! If something at the top is still there after a month THEN and ONLY THEN should they consider buying it. 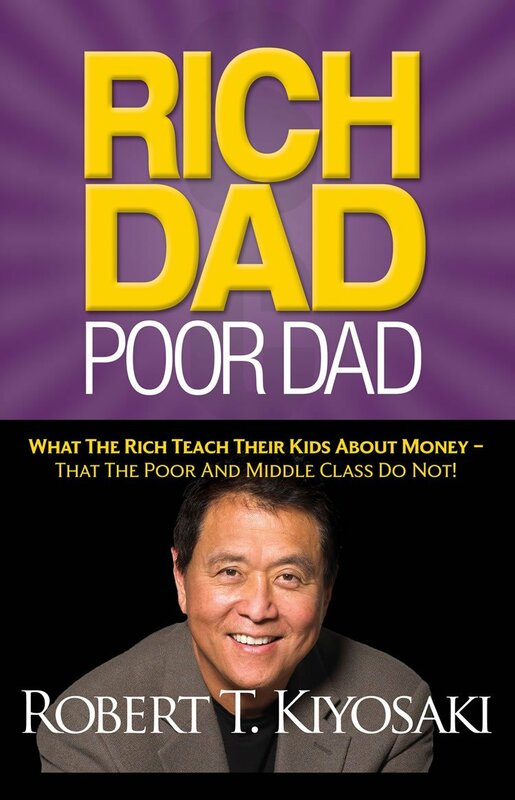 If they’re looking to learn even more, have your kid read “Rich Dad, Poor Dad.” It has a ton of great tips, and it’s a good supplement to any of your financial advice! Sometimes the best way to learn is by doing. So invite them to participate! Go comparison shopping together and allow them to help you make purchasing decisions. If they haven’t realized the beauty of the coupon yet, go online or open up a magazine and look for coupons together. Some stores will ALWAYS have a coupon, and if your child is buying everything at full price, they’re missing out! With just a little help, your teen is on their way to being financially competent, and just in time to avoid the frivolous spending dangers of a college atmosphere! Follow in your financial footsteps! Have you given your child other ways to be more money-savvy? Comment with your secrets to success! Dressler Parsons spent most of her childhood in an adobe house her father built in rural Arizona. Right now, she's taking so many business and art classes at Barrett, the Honors College at Arizona State University, and plans to graduate in Fall 2016 with a Bachelor of Science in Marketing, and a Bachelor of Fine Arts in Intermedia. And, handily enough, her SAT scores and grades qualified her for ASU's Presidential Scholarship (worth $24,000), as well as the AIMS tuition waiver. She is passionate about showing people their potential for a bright, beautiful future. In her free time, she cooks edible things and knits inedible ones.